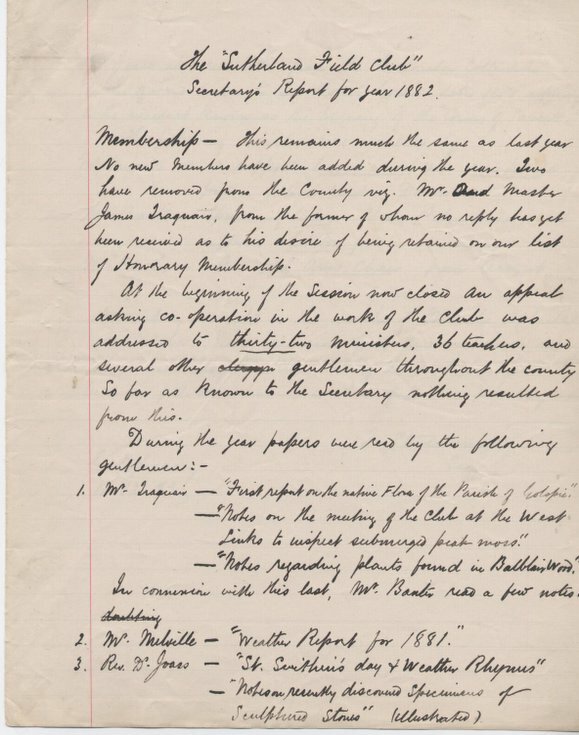 Secretary's report for 1882 . Shows that no new members joined, there had been no response to the circular which had been sent to 32 ministers, 36 teachers and several other gentlemen. Activity during the year was considerably reduced from previous years. Single folded sheet.